CENTENNIAL, Colo. — Inside a windowless second-floor courtroom on Monday, Tom and Caren Teves came face-to-face again with the gunman who fatally shot their firstborn son in the head. But that encounter and the start of the long-awaited Colorado movie theater massacre trial, which began on Monday with opening statements, is not what troubles them most. The Teveses’ biggest worry is the possible effect of the mass media coverage due to the throng of TV news trucks outside the Arapahoe County courthouse and the dozens of reporters assigned to the trial, which is a rare event. Most U.S. mass shooters are killed by police, commit suicide or plead guilty to avoid trial. In Colorado v. James Holmes, the judge is also allowing a live video stream of the court proceedings. Her husband is more blunt: “I fear there’s going to be another shooting,” as a result of the anticipated exhaustive media coverage of the trial. “And we don’t want you to,” his wife said. And that’s why they started their No Notoriety campaign. After the rampage, the Teves family launched an awareness compaign called No Notoriety, which aims to stop (or at least reasonably limit) news organizations from publishing the theater shooter’s name and photo. Defense attorneys in the Colorado case have acknowledged that their client was the gunman, but they argue he was in the grips of a psychotic episode at the time. Holmes, who has pleaded not guilty by reason of insanity, is trying to avoid the death penalty. The Teveses, who live in Phoenix, don’t say the name of their son’s shooter. Ever. No Notoriety has since coalesced into a campaign to change how the media covers all mass shootings, which the FBI says spiked to an average of 16 a year between 2009 to 2012. Almost five months after the Aurora theater shooting, gunman Adam Lanza murdered 20 first-graders and six adults at Sandy Hook Elementary School in Newtown, Conn., before killing himself. Tom Teves, who wears on his right wrist a bracelet that bears his son’s name, worries that new coverage of the Aurora shooting could have been a factor that led to Lanza’s actions. Investigators of the Sandy Hook shooting discovered that the 20-year-old killer had a large cache of news clips about mass murders — especially the 1999 Columbine High School rampage in suburban Denver — and kept a spreadsheet detailing each event by name. Criminal psychologists say a number of factors motivate mass killers, and exact research hasn’t been conducted on links between publicity and copycat cases. But anecdotally, many experts agree that murderers tend to feed off of infamy and one another. The Teveses admit that getting mainstream media to commit to their cause is a challenge. Withholding a name conflicts with the tenets of journalism: who, what, why, when, where and how. But the couple maintains they aren’t seeking censorship, just accountability. “It’s when you have to have the name 17 times in a story,” Tom Teves said. Monica Guzman, co-vice chair of the Society of Professional Journalists’ ethics committee, said she sees where a happy medium could exist. Done responsibly, Levin said reporters have not only a right but a duty to inform the public as to characteristics of mass killers. Through the years, controversy has followed after notorious killers were prominently featured in publications. In 1991, People magazine displayed serial killer Jeffrey Dahmer on its cover. Time magazine gave Ted Kaczynski, also known as the “Unabomber,” the same treatment in 1996. In August 2013, Rolling Stone received backlash but doubled its sales when it put Boston bombing suspect Dzhokhar Tsarnaev on the cover. All of which, Levin says, plays right into the hands of the suspects’ desire to feel important and superior. Levin, co-author of “Extreme Killing: Understanding Serial and Mass Murder,” said that for most people, rampages like the theater shooting are so extraordinary and grotesque that they seem pretend like a true crime novel. What Alex Teves, 24, endured was far from fiction. When the shooter began spraying gunfire, the former high school wrestler tackled and pinned his girlfriend, Amanda, to the theater floor. "A horrible wound," District Attorney George Brauchler said in his opening statement. 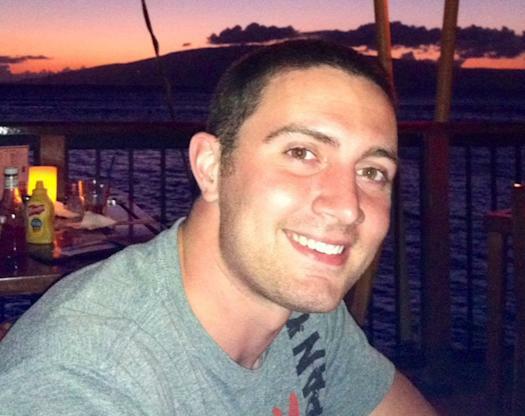 Alex Teves received a master’s in counseling psychology the month before his death. The happy-go-lucky young man had already achieved hero status at a Denver school where he mentored kids with learning and behavioral needs. His parents said it’s disheartening that the public undoubtedly knows more about the theater shooter than the dozen who died.